Choosing reputable Africa tour operators for your safari trip is one of the most time consuming and frustrating parts of the whole safari experience. There are so many operators in the market that it becomes a nightmare finding the one that will be right for you. So how do you decide on a company that will do justice to the safari you have dreamt about and provide a smooth, trouble free, and efficient service? This is a once in a lifetime journey for you after all, so your decision needs to be right. Past experience from travelers who have already been on safari with a particular company is a telling indicator of what you can expect from them for your own safari in future. 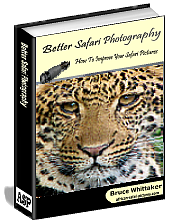 All the safari company reviews that appear on this page have been obtained by African Safari Journals through a telephone interview with the person that went on safari or been submitted by the safari participant themselves in writing using e-mail or the online forms on this site. The Facebook profiles are of the traveler that actually went on the trip with the relevant Africa tour operator so that you can contact them directly. This icon signifies a company that is ranked in the top three within its rates category and country. 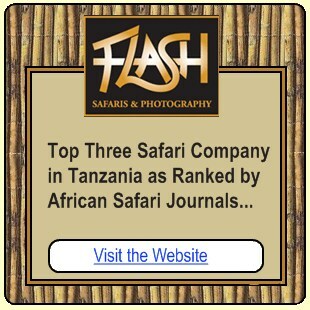 Click on the icon where it appears to see the full African Safari Journals top three list. Memberships in Associations and Societies unfortunately isn't a fool proof measure of the quality and credibility of a safari company but they do have to adhere to certain minimum standards to obtain membership so it's a step in the right direction. Accredited memberships for each company are shown. Shenton safaris is a family business owned and managed by Derek and Juliet Shenton. The Shenton family have been intimately involved in conservation in Southern Africa for three generations. They operate exclusively from two small camps, Kaingo (built in 1992) and Mwamba, situated away from the hustle and bustle within the South Luangwa National Park in Zambia. Situated in the town St Lucia this company specialises in safaris to the Hluhluwe-Imfolozi Game Reserve in Kwazulu-Natal South Africa but they also do turtle tours, a Cape Vidal Experience and salt water fly fishing trips. Jeff Asher-Wood is the owner-guide who has been described as South Africa's answer to the late Steve Irwin and he also has a reputation as the "big cat man" because of his knack for spotting felines on safari. Offers private safaris for individuals, couples or small groups of related individuals. This Africa tour operators destinations include Mt Kilimanjaro, Zanzibar, the Serengeti, Ngorongoro Crater and Lake Manyara. Founded by brothers Garth, Brendan and Andrew Jenman this Africa tour operators company has been around since 1993, when it started off as a specialist camping operator. Since then they have expanded and diversified the product range to include the whole gamut of possible safari types in a total of fourteen African countries. Based in South Africa. Share your opinion about the performance of the safari operator that guided your African safari. Do you have a safari picture to add? Great! Click the button and find it on your computer. Then select it.